Lomakylä Valle/Holiday Valle is located in Aittisuvanto, two kilometres from Utsjoki in the direction of Karigasniemi, on the banks of the Tenojoki River. All cabins provide views over the Tenojoki River and Norway. Holiday Valle offers reindeer hikes in the autumn where the reindeer carry the supplies on a sled, reindeer safaris, Sámi culture programmes and guided skiing treks. 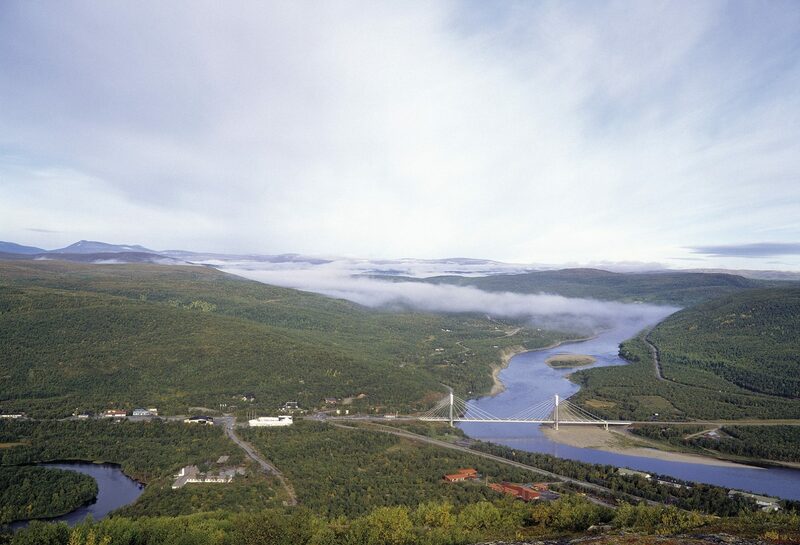 The family-run Holiday Village Valle is situated by the beautiful Teno river, just 2 km from Utsjoki village center. Holiday Village Valle is a wonderful destination for travelers who are looking for untamed nature, genuine cultural experiences and fantastic nature-based activities year round. In summer fishing in the Teno River and in the Fell lakes is extremely popular along with hiking in the fells, visits to reindeer farm, biking, canoeing, hunting, trips to Norway & Arctic Ocean. In winter this is a wonderful destination to hopefully view the Northern Lights. 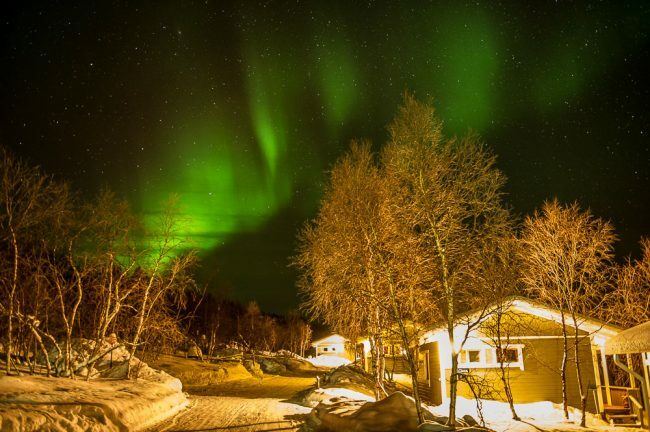 Various Aurora activities can be arranged along with reindeer rides and safaris, snowshoe and cross-country skiing trips, winter fishing, snowmobile transfers and safaris, tours to Norway and Arctic Ocean, and much more. 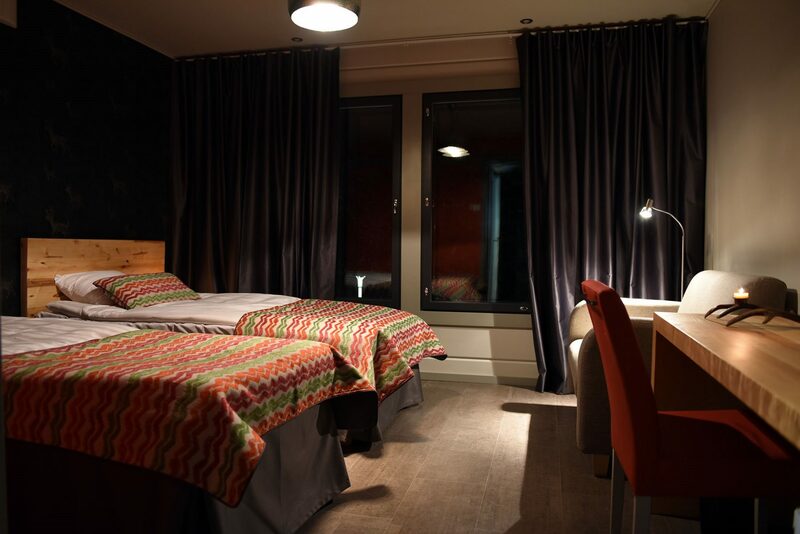 The new hotel building opened in December 2016 and contains 12 cosy twin rooms. Each room is equipped with private bathroom, a television, hairdryer, kettle and fridge. The cabins overlook the nearby river and have traditional and homely feel. Each cabin has 2 twin bedrooms, a cosy living room with kitchenette and delightful open fireplace. A private bathroom with sauna is also included, as well as TV and hairdryer. This spacious and modern suite has 4 cosy twin bedrooms. Guests can take advantage of a well-equipped dining area with kitchenette and roaring fireplace. A homely living room with TV, private sauna and shower, two bathrooms and a hairdryer are also included. The flaming aurora borealis may sometimes entertain us with their playful dance long into the night, while at other times, this mystical natural phenomenon may disappear in the blink of an eye. Before being scientifically explained, this beautiful natural phenomenon induced many mystical beliefs. The Sámi people, in particular, had many beliefs about the Northern Lights. During our Northern lights exploration, we strive to find an ideal place for seeing the aurora borealis. We are also flexible about the departure times for these trips. When the weather and Northern lights forecast is favorable, we will search a good, open space to see them. We also host several different kinds of Northern lights explorations. We offer the opportunity to take a trip out to the nearby terrain with snowshoes or to the fell with a snowmobile sleigh. During every Northern lights exploration, we explain what the aurora borealis meant for the Sámi people in the old days. First we learn about the Northern Lights and how to take photos of them. Then we go out, and if lucky, we can admire the Northern Lights dancing on the sky and we can start taking photos. For taking the photos of Northern Lights you need a proper tripod to hold your camera steady and the camera need to be good in low light conditions. Hot drink is included. Duration 2 hours. Price includes: Warm clothes, hot drink, guidance. Snowshoeing is an ecological way to explore the snowy nature – and it is suitable for everybody. Before heading out, our guide will instruct you on how to use the snowshoes and show you how they work. The trek will lead us into a dark and quiet nightly forest with a lovely view up to the sky. If lucky, we may see flaming aurora borealis in the open sky. Hot drink is included. Duration 2 hours. Price includes: Warm clothes, snowshoes, hot drink, guidance. In the forest, we can enjoy the silence of the nature and – if we’re lucky – see the aurora borealis dancing in the night sky. When we return from the reindeer sleigh ride, a reindeer herder will tell us about reindeer husbandry and the northern lights by an open fire. Duration 2 hours. Price includes: Warm clothes, reindeer sleigh ride (2 people/sleigh), hot drink, guidance. From the fell, a beautiful scenery opens to the Teno river valley. If lucky, we may see the aurora borealis and a beautiful starry sky above the fells. 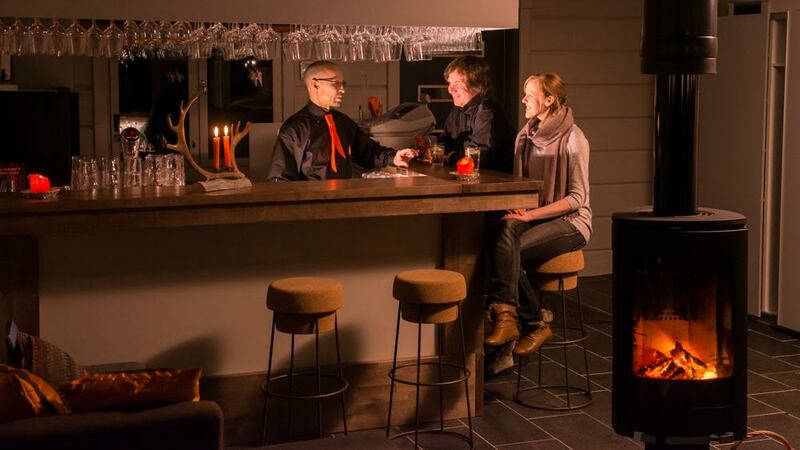 Our guide will serve you warm beverages and tell stories about the Northern lights and the fells. Duration 2 hours. Price includes: Snowmobile sleigh transfer, warm clothes and helmet, hot drink, guidance. This evening your guide will take you by car to the places with good possibilities to see the Northern Lights, depending on weather. Duration ca. 2 hours. Snowshoeing is an ecological way to explore the snowy nature and it is suitable for everybody. Together with your guide you will make a trip in the nearby nature. During the trip your guide tells you about the nature and animals of the area. You might even see some wild animals during the trip. Hot drink is included. Duration 2 hours. Price: 70 €/adult; 35 €/child. Prices includes: Snowshoes and poles, warm clothes, hot drink, guidance. Cross-country skiing is one of the oldest ways of moving in winter among the Sámi people. You will learn the techniques of skiing followed by a skiing trip with your guide through the wintry landscapes. If lucky you might see wild animals such as elk, hare or willow grouse. Hot drink is included. Duration 2 hours. Price includes: Cross-country skis and poles, warm clothes, hot drink, guidance. Reindeer are an important part of Sámi life and its history. 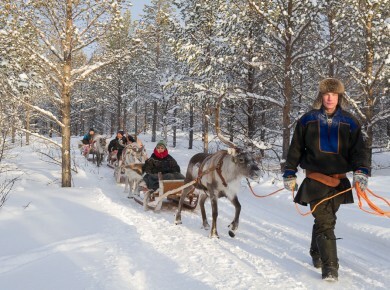 During the program, you will get the opportunity to meet and feed reindeer and take a short reindeer sleigh ride in the nearby forest. After the ride, a reindeer herder will serve you hot beverages in his lean-to and tell you about the life of a reindeer herder. Duration 2 hours. Price includes: Warm clothes, transfers, reindeer sleigh ride, reindeer feeding, hot drink, guidance. 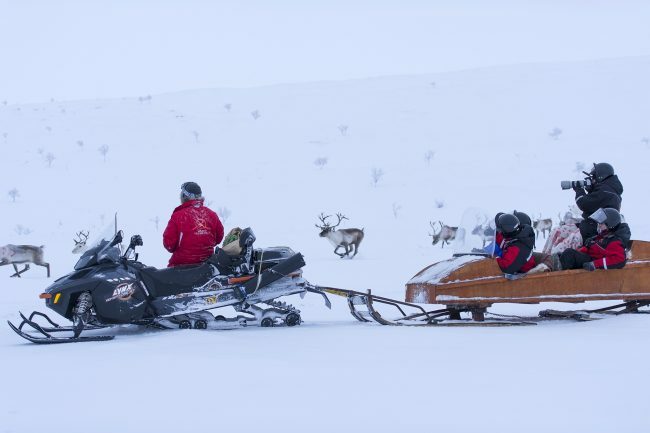 You will sit in the sleigh pulled by guide´s snowmobile. 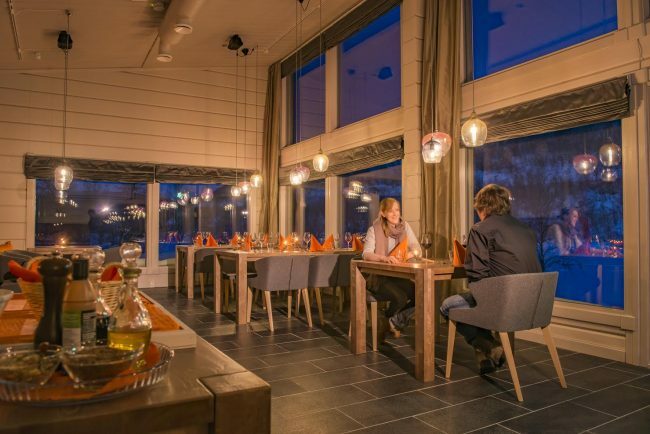 Your guide will take you to the nearby fell area and to places from where you have amazing views to the area and to Teno river valley and the Norwegian fells. During the trip you may see also reindeer and take photos. Hot drink is included. Duration 3 hours. Price: 90 €/ adult; 45 €/ child. We drive by car to the nearby small lake to try ice fishing which is the winter sport number one for locals. During the trip you learn the secrets of ice fishing, and if lucky the catch might be arctic trout, salmon trout or perch. Your guide makes for you the holes in the ice ready and then you can start fishing. You can also try yourself to make the hole with a special ice drill ”kaira”. While you are fishing your guide will prepare warm drinks by campfire. Duration: 2-3 hours. 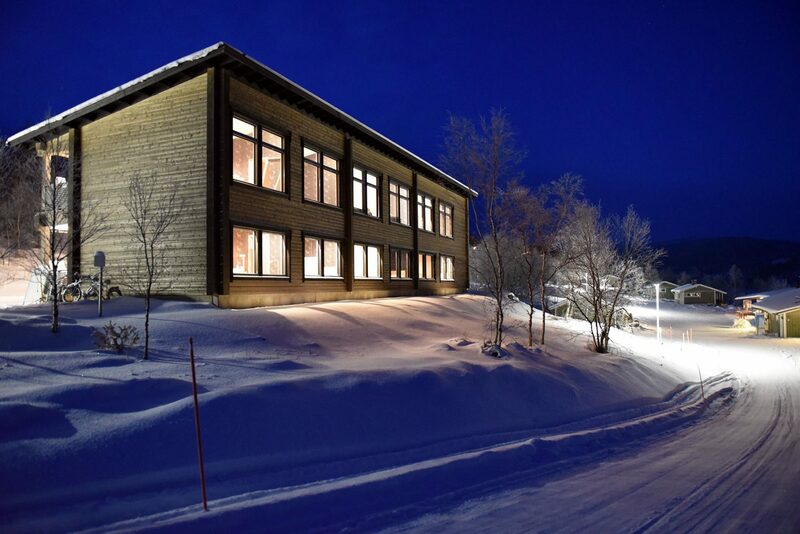 During the day, we will visit a sea Sámi museum and learn a lot about the way that Sámi people lived at the seaside fjord and what Sámi life today means by the Arctic Ocean. We will also pay a visit to a historically valuable site in Nesseby, right at the shore of the Arctic Ocean, where a one-time Sámi worship site, a ‘seita’, is located. On our way back, we will stop by at a handicraft workshop in the Tana village where Sámi handicrafts are also sold. The drive up to the Arctic Ocean will take approximately an hour. Duration: ca. 5 hours. Min. 4 adults. Price includes: Transfers, museum ticket, guidance. During the sleigh ride, you can enjoy a breathtaking view over the fell and we will also take a nice little break to see and feed reindeer. We may also see other animals on our way, such as a willow grouse, a hare, a fox or even an elk. 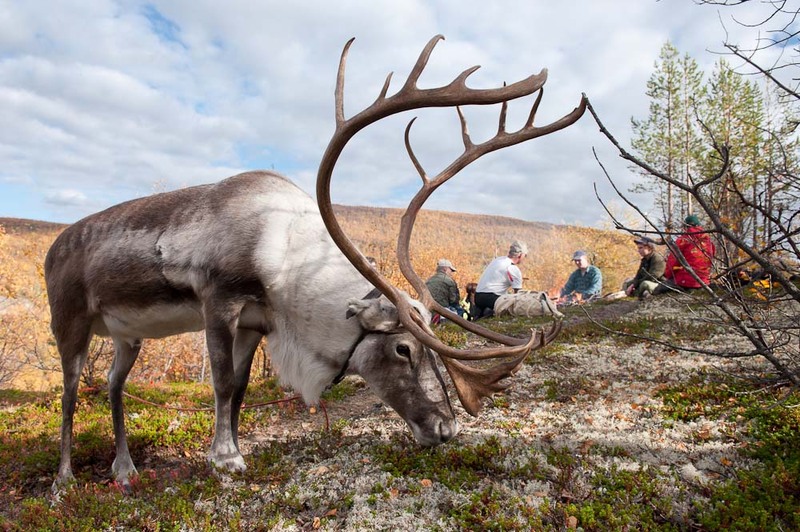 During the trip, our guide will tell you about the local fauna and reindeer husbandry. Once we arrive at the ice fishing lake, our guide will share his ice fishing tricks with you and hand out the fishing tackle. Your potential catch includes Arctic char and trout. During the ice fishing, our guide will prepare an outdoor lunch by an open fire. If the stars seem unlucky with fishing, you are also free to take a short snowshoeing trek over the fell. Min. 4 adults. hot drink with snack and guidance. Child price is valid for children 4-11 years, travelling together with adults. We keep us the right to do changes in the activity days and change the activities due to safety, weather conditions and similar. The weekly program is valid from ca. mid of November until mid of April. Please note that the best time for Northern Lights programs is from November until ca. end of March, as the nights start to be lighter from end of March. Northern Lights can be seen from end of August onwards, if weather is suitable.